How to Create A More Efficient and Productive Kitchen? Bestekloza > Hotel Kitchen Equipment Manufacturers > How to Create A More Efficient and Productive Kitchen? 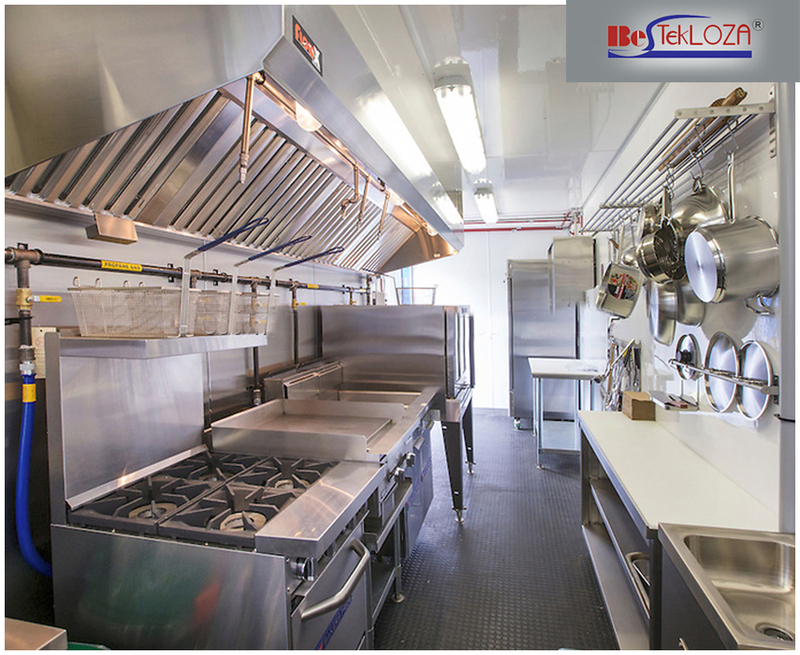 A Commercial Kitchen must be remodeled with the equipments that will enhance the performance of the kitchen and will also make the space look better. Remodeling a Commercial Kitchen includes making space for the new equipments. The full renovation of the kitchen also calls for new stainless steel countertops and high-grade classy cabinets. While one must invest some time to ensure that the newly renovated hotel kitchen looks quite appealing, it is far more vital to design the kitchen space such that more efficient and productive equipments can be placed in the right places of the kitchen. Always Remember the Basic Triangle:- The basic triangle is considered as the most efficient layout design for a commercial kitchen. This means the stove, sink, and the refrigerator should be arranged in the triangular shape. This is done so that these equipments are accessible from each other. These are the three most vital elements of the kitchen, and so there must be a straight path connecting these. When the corners of this triangle are brought together, it should add up to approximately ten to twenty-five feet. Less than this measurement will be too small for more than one or two persons to move throughout the kitchen comfortably and more than twenty-five feet will also be too big. Once the triangle is created with the premium quality refrigerator, sink, and stove, one can begin to add the other equipments like the microwave, the dishwasher, the upright freezer, etc. that are needed for different purposes in an industrial kitchen. Purchase Efficient Commercial Kitchen Equipments:- When the new equipments are bought, make sure that the appliances comply with the Energy Star standards. Purchase these from the top Hotel Kitchen Equipment Manufacturers. The cooktop, refrigerator, upright freezer, and the dishwasher can be the most energy efficient equipments yet capable to serve all the requirements of the restaurant’s kitchen. Everything In the Kitchen Must Be Kept within the Reach of the Staffs Working there:- Not only rearranging the kitchen equipments is essential but keeping the utensils and dishes safely within the reach is also equally important. The heavier objects like casserole and skillets trays must be kept in the cupboards, which are lower to the ground. This won’t make the utensils fall when someone will try to reach them. The cups, dishes, silverware and the bowls must be kept in the drawers or the cupboards that reach up to your waist or maximum up to your chest. The shelves with more heights should be reserved for the utensils that are not used very often. Put everything back in their own places that is where the utensils belong to so that one can get these as soon as these are needed. There are several other things that can ruin the cooking experience faster than not knowing where a dish or the utensil is at the required time.